THANK YOU! Get Ready For 2016! 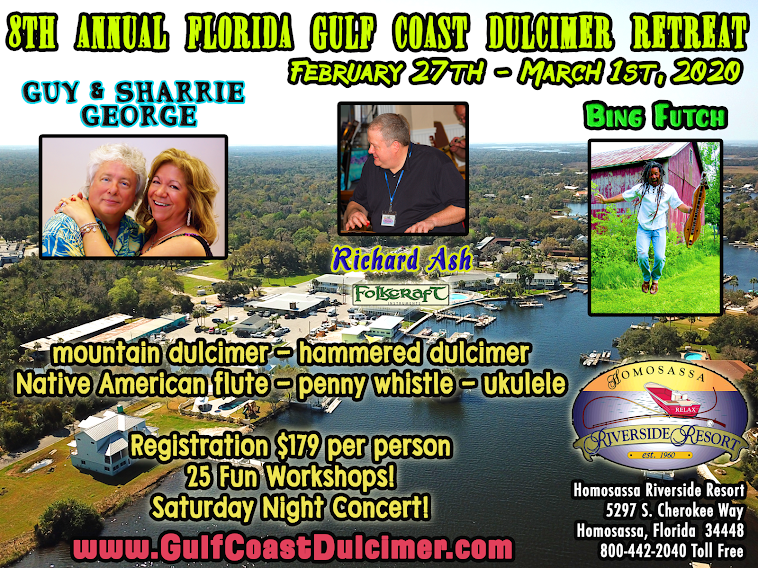 The 3rd Annual Florida Gulf Coast Dulcimer Retreat was a tremendous success and a total blast! 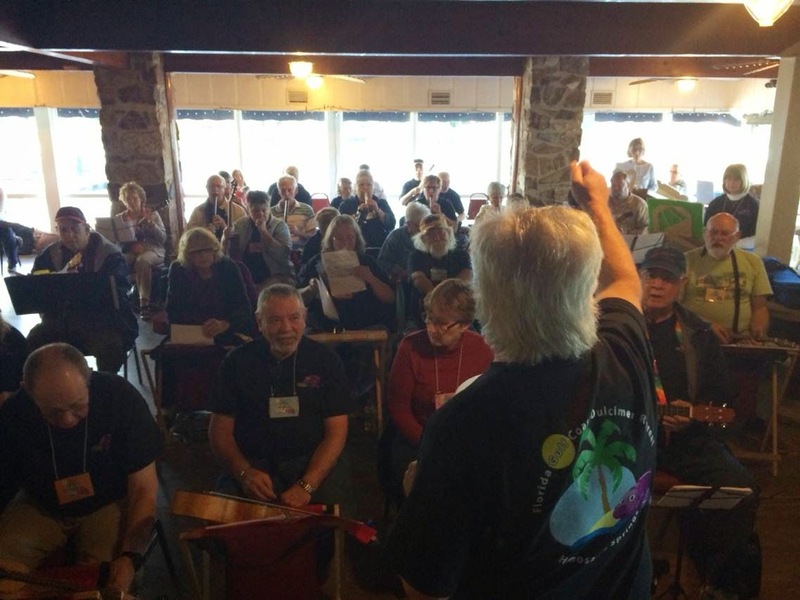 People from all across the country converged on Homosassa Springs, Florida for a truly unique music retreat that has gained a reputation for its laid-back vibe, awesome interactions and gorgeous natural setting. This page has been updated with a new registration button to the right - it is now set to receive registrations for 2016! The price will remain at $129. Returning will be instructors/performers Bing Futch, Richard Ash, Guy George and Sharrie George. We will once again be at the Homosassa Riverside Resort and the new dates are February 25th - 28th, 2016. We'll also, once again, be making the trip to Disney's Fort Wilderness Resort and Campground for our traditional post-retreat experience at the Hoop-Dee-Doo Musical Revue on Monday, February 29th. Watch this site for workshop information and other details, but do plan on joining us for a one-of-a-kind event that has people raving about its joyful pleasures! We had a great time with everyone who attended this year's event. Huge thanks to the Homosassa Riverside Resort and Homosassa River RV Resort. Thanks also to Folkcraft Instruments for sponsoring the event and to Jae Futch for administrative and hospitality services. Our warmest thanks to those who helped out during the week and to everyone who came out to share the fun - THANK YOU for making this the best year yet! We're already looking forward, one year ahead, to our 4th annual retreat. 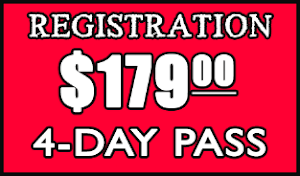 Thanks again and get your registrations and reservations in early!